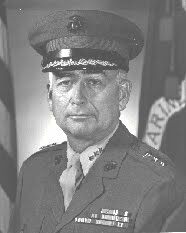 Lieutenant General Wallace H. Robinson was a United States Marine Corps general. LtGen Wallace served in combat during World War II. He served as the 20th Quartermaster General of the Marine Corps and as Director of the Defense Supply Agency.